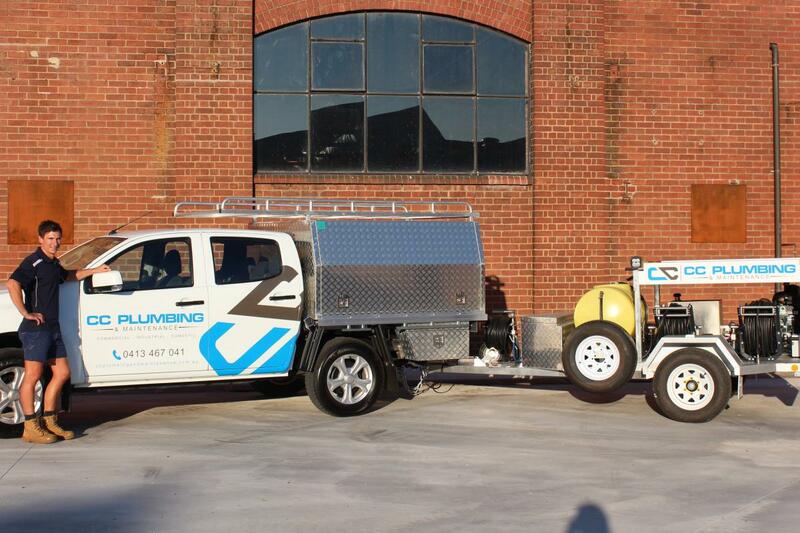 Blocked Drains & CCTV Inspections from Lara, Geelong, Melbourne and Surrounding Suburbs. At CC Plumbing & Maintenance we understand that drain blockages can occur at the most inconvenient time. Our team specialises in solving and rectifying sewer and storm water blockages and carrying out required emergency repairs catering for residential and industrial properties throughout Lara, Melbourne, Geelong and surrounding suburbs. CC Plumbing & Maintenance has invested in the latest innovative drain cleaning technology which will save you time and money. Our high-powered water jetter operates at 5000 psi catering for a wide range of drains. With multiple fittings, our jetter simply blasts and cleans away tree roots, slurry, sand, sanitary materials, rock, fat, soil, mud and debris blocking your drain. Our team confidently identifies the cause of the drainage problem, resolving the issue with the most cost effective and affordable method. CC Plumbing & Maintenance have the latest CCTV in-pipe camera system with underground pipe locators. Our team uses CCTV live footage allowing us to inspect and pinpoint the exact cause and location of the blockage. This footage can be sent directly to your smartphone for your viewing. By using CCTV with our locating devices, we can excavate and repair the exact section of pipe damaged rather than more expensive methods of unnecessary excavation and replacement of the entire drain. On completion of drain clearance or repair, we undergo a final CCTV inspection, so you can be confident our work is complete and meets all standards. At CC Plumbing & Maintenance we are plumbing experts who are certified, licenced and experienced to diagnose and repair all your blocked drain problems. We have the training, expertise and latest innovative drain cleaning technology. With CCTV footage we can determine an accurate diagnosis of the drainage issue and provide solutions to rectify the problem on any property throughout Lara, Geelong, Melbourne and surrounding suburbs. Call us today and be confident that all your drainage issues will be rectified.